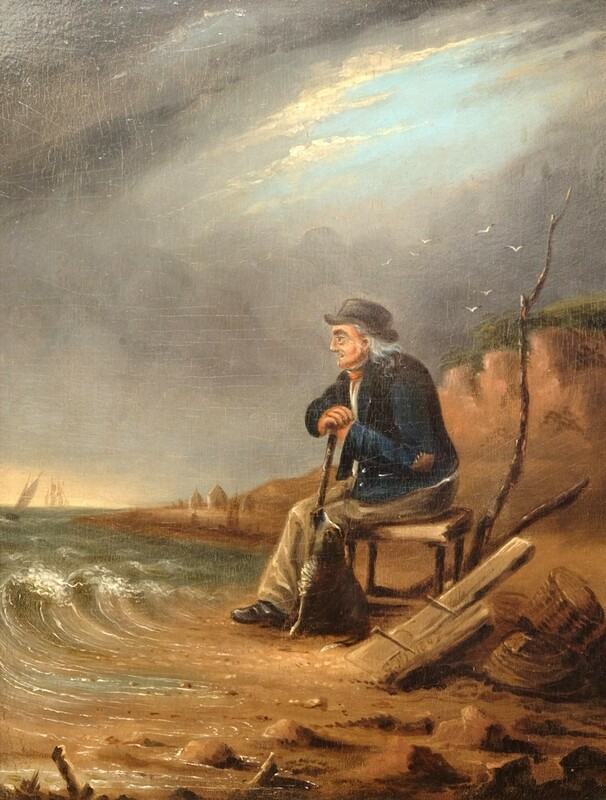 Wonderful oil on board mounted canvas of a wistful old sailor, perfecting his 100-mile stare. 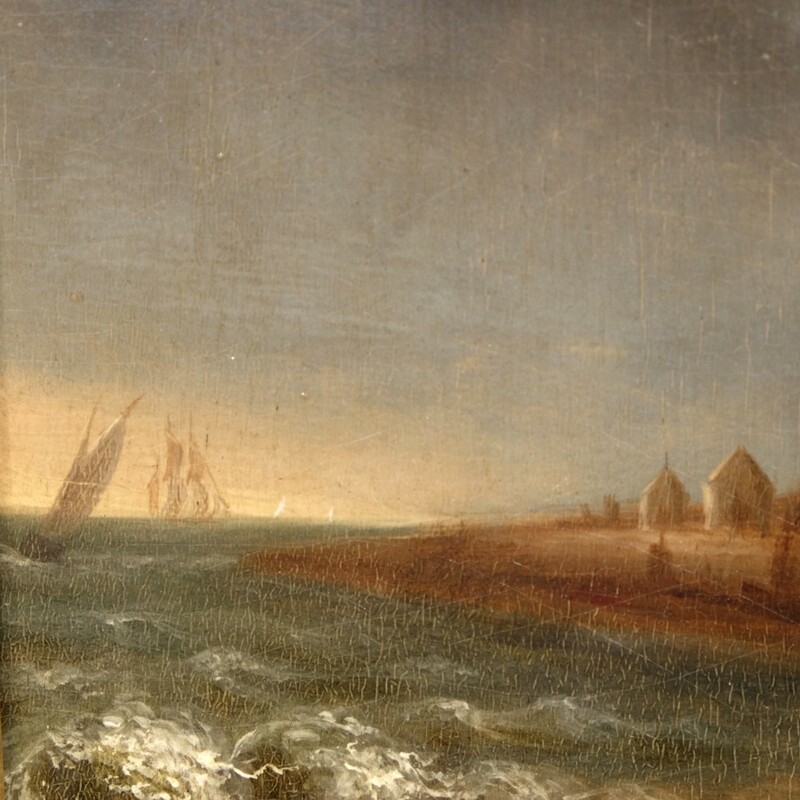 With label to the reverse “Near Shaldon, Devon”, initialled and dated by the artist for 1847. 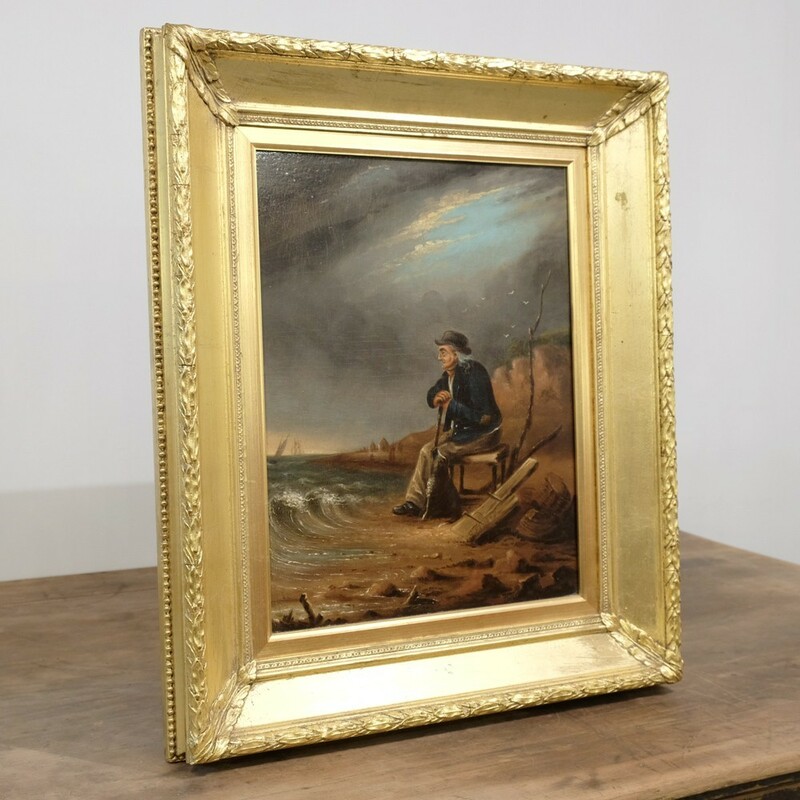 In impressive gilt frame. Full of character. Many more reduced pieces and items from the warehouse not listed anywhere else available at trade prices on our website.